I believe the Horvath Epigenetic clock is likely measuring the chronological age of a cell’s progenitors, not their true biological age in terms of phenotype. That is why telomerase increases the Horvath age and why progeria does not. All we are able to conclude is that old people tend to have more cells that are old but that is not what drives aging. A better candidate is my stem cell/telomere erosion model leading to depletion, mutation, and senescence because it obeys all of Koch postulates wheras data mining obeys none. This post by Josh Mitteldorf raises some interesting ideas but I would urge this great thinker not to jump to the conclusions that he reaching for. I have a much simpler interpretation because to the man with a simple mind, all ideas are simple. I recently attended three hours of lectures by Dr. Horvath and his colleagues and came away with an uncomfortable conclusion. This highly accurate aging clock is data mining and although they claim high correlation, they incorrectly are inferring causation. I have tremendous respect for Horvath and the exceedingly high quality of his science; I merely disagree with the conclusions that he and Mitteldorf are drawing. I submit that because the changes are so universal across tissue types they are probably not critically important genes. Secondly since the methylation is increased by telomerase, they are merely an indication of the chronological age of that cell’s lineage, not the organism. That is why 13 yo elderly progeric has a young “Horvath age” as mentioned below. 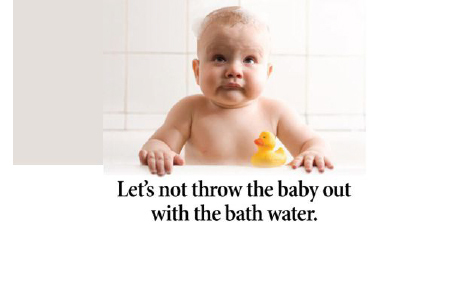 We simply can’t throw out the baby with the bathwater in terms of telomerase and telomeres driving aging. The researcher sitting next to me showed that telomerase activity is correlated with the Horvath age. That doesn’t mean that telomerase doesn’t slow aging. it means your interpretation of the Horvath clock is wrong- it is correlation with chronological age and not phenotypic age that is being measured. A Horvath study presented showed Hutchinson-Gilford Progeria (which is a perfect model of aging and correlated with failures in telomerase activity) is not correlated with the epigentic clock doesn’t mean the baby is made of poop and we need new babies and to keep the water and filter it. It just means that the cells have not been alive in chronological terms long enough to get dusty. The biological age and relevant genetic and epigenetic changes in the cellular and organismal phenotypes are undeniable. The leap from high correlation to actual causation by the methylation sites of the so-called epigenetic clock seems unjustified. The simplest explanation is that the high correlation is analogous to measuring dust on a refrigerator. It only tells you how long it has been since you dusted the fridge or bought a new one. I could be wrong but I cannot make the leap from saying that increasing methylation at certain sites is causing aging; it is merely an indicator of incidental methylation that tends to increase the longer a stem cell and its epigenetics are allowed to exist. We get old because we can. That applies to stem cells and to people. Aging occurs as a combination of at least three processes described in this blog comparing them to Hindu deities. Unless and until we understand the grammar and syntax of cell differentiation, epigenetic changes, and genes expression, we should not embrace a new theory based on data mining and give in to despair when the old models can be added to instead of abandoned. Einstein didn’t render Newton irrelevant and he certainly didn’t advocate a god of gravity. Science should embrace cataclysmic paradigm shifts when warranted and not merely for the sake of novelty. I hope to blog again on this subject with specific citations but I felt I had to weigh in before this mutiny against telomerase-based aging gets too out of hand. Primary stem cell optimal duplication, dissemination, and differentiation with minimal to zero deleterious biochem attenuation, i.e. superior atomic/molecular resource availability and dysfunctional biochem patterning/sequencing elimination/repair, minimized free radical activity, etc. Ed, thanks very much for this. I, too, have some growing doubts about the validity of the epigenetic clock to measure aging. A point not mentioned in your piece is that BEFORE the test is taken, one’s chronological age must be given! Obviously, it would be better to ask afterward, to preclude any confirmation bias in measurement. Please keep writing on this subject!! Excellent post. Correlation may look like causation. I came away with a different take on Josh’s analysis. There are two pathways of aging broadly, telomere shortening and epigenetic changes with changes in methylation. Josh just pointed out that he thinks that future research will focus more on epigenetics than on telomerase. Personally, I take a large dose of TA-65 twice a day and eat a methyl donor-rich diet as well as consume the methyl form of several B vitamins to treat a genetic form of depression. I view this as an age positive strategy which I am, at 64, still exploring. I find it very interesting that a methyl donor-rich diet is associated with a lower incidence of pancreatic, breast and colon cancers the very cancers associated with the group with longer telomeres. In my view, this points to a necessary strategy to protect stem cell stores by maintaining a healthy rate of methylation as well as encouraging telomerase expression. The findingss are rather different from Steve Horvath’s results from methylation patterns. Thanks for that link Karl! I have found it wise to be a bit careful around the conclusions of people who treat numbers instead of patients!